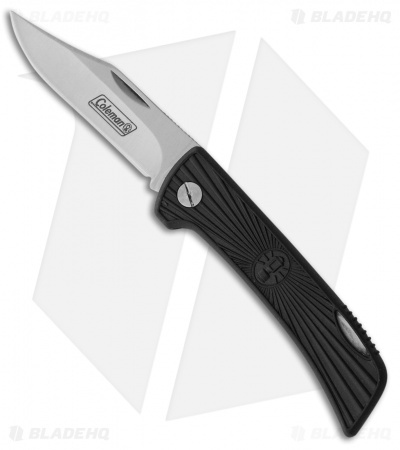 The Coleman Thumb Lockback knife offers a 2.25" blade and an overall length of 5.5". It has a stainless steel blade with a standard edge and a satin finish. The handle is made from black rubber for a reliable grip. An embossed Coleman shield on the handle finishes off the impressive EDC design.